DAMIAN: I’d like to begin by talking about your childhood in Devon and for you to perhaps give me an idea of the sort of television, film or theatre that you were exposed to during this impressionable age. What was it like growing up there and at what point did you realise that you wanted to act? LEWIS: I guess I’m biased, but I would say Devon is one of the best places to grow up in the UK and I’ve always been extremely proud to come from the West Country. Devon is an incredibly tranquil and picturesque part of England, but in terms of opportunities to get involved in TV and Film, you find yourself a little isolated from the rest of the country. I’d always had an interest in the screen and I have a vivid memory of watching the first Lord of the Rings film when I can’t have been more than eight, and coming away absolutely mind blown and swept away by the experience. I became so interested in how Film and Television conjures up these vast worlds and storylines, and it was something I desperately wanted to be a part of. I couldn’t give you the exact moment or event that made me want to become an actor – I’ve wanted to act for as long as I can remember. DAMIAN: Which actors did you find particularly inspiring? LEWIS: Jake Gyllenhaal is an actor I’ve always been particularly drawn to because the majority of the parts he undertakes tend to be quite interesting and understated – a little outside of the box – the kind of characters I could see myself playing too. Naturalism and finding truth is something I always strive for, so any actor who executes that well inspires me. DAMIAN: Looking in the mirror as a teenager then, faces constantly changing and evolving, was there ever as sense of what sort of characters you would be suited to or feel comfortable playing? LEWIS: I always saw myself playing more introverted, enigmatic characters because that’s what I felt like at heart, not the more generic male leads or love interests. I always feel like there is a big difference between what characters you see yourself as, opposed to how others see you. But I suppose that’s what being an actor entails, using your abilities to embody whatever character the part requires you to be. DAMIAN: It’s become something of a cliche for writers but I still like the quote that goes something like, ‘I don’t enjoy writing, but I enjoy having written’. Given that so many actors often say that they don’t like seeing themselves onscreen, is this quote the exact opposite when applied to performing? LEWIS: I guess it depends on the actor. I know people who watch themselves and I know people who don’t. It’s preference. For me I will watch the things I make for a couple of different reasons. One being – let’s take Endeavour for example – I spent the majority of my time last year on the project and a lot of my head space, I met incredible people and want to see what we made as a collaboration. I enjoy viewing the scenes that I wasn’t involved in. Another reason is that I believe it is important to evaluate your work. I can see the things that I liked and also maybe some mistakes I feel I made, which probably only I would pick up on. For me not watching my work especially in the early stages of your career is missing a vital opportunity to better yourself as an actor. But on the whole I wouldn’t say I enjoy watching a performance I give as I think it’s impossible to distance yourself from the character. At the end of the day I am literally just watching myself. DAMIAN: From previous interviews with actors, I often get a sense that there’s a contradictory nature to them, almost an ongoing battle of uncertainty between confidence and insecurity especially in the early stages of their careers. Having enjoyed the exposure that came with your role as Ted Carkeek in the hugely successful Poldark, did you breathe a sigh of relief and find a certain sense of security or accomplishment as an actor? 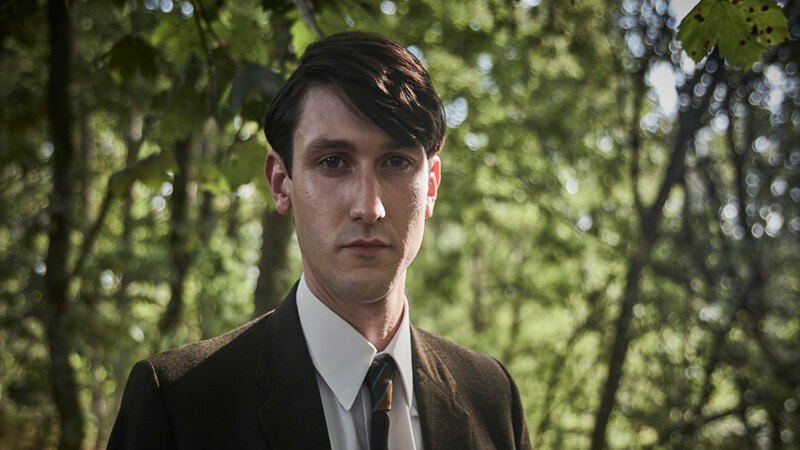 LEWIS: Poldark was an incredible experience and a great reassurance that I was moving in the right direction and finding my feet in the industry, but in no way thought that I had ‘made it’ as an actor, it was more of a stepping stone to bigger achievements. I wasn’t naive enough to think it would be easy from that point on, in a way it gets harder because you are striving to outdo yourself, but I think that is something every actor feels at every stage of their career. Being an actor for me is about progression, to quote one of my favourite lyrics ‘I’ll never be as good as I’d like to be’. DAMIAN: Indeed, after filming Poldark, you worked in a coffee shop for a while. I imagine working there that you’ve had your fair share of grumpy and complaining customers. I’m wondering if on a particularly bad day you were ever tempted to scream ‘I’M TED CARKEEK FROM POLDARK!’? LEWIS: Definitely my fair share of complaining customers! But I always liked to keep my career at arms length from any other work I did on the side. So to answer your question no, and if I am honest I don’t think anyone would of known who that was! DAMIAN: Well, something to really shout about is your role as Detective Constable George Fancy (originally Bob Fancy before negative checking couldn’t clear the name*). Now, there wasn’t much of a description in the script for your character other than he was a young shaver but rather it was one of those cases where they had a pretty good idea what they were looking for and would know when they found it. So, given that there was so little description and you obviously couldn’t guess what was inside their heads, how did you go about playing Fancy in the audition? LEWIS: I guess instinct. That is all you have in those situations. Once you have taken all the information you can from the scenes you are given for the audition, and the notes on the character – which the majority of times are very brief – then the rest is up to you. I always see it as this: you go into the audition and present the character the way you think it should be played. If this instinct you use to play a character is what the team who are casting are looking for then you’ve got the part. With Fancy when I first got the scenes I immediately saw a part of my teenage self in him, especially when I was in school. So I thought about that and then kind of just read the lines as younger me, but still having in my mind that he was a 22/23 year old man. There is always a part of you in any role. DAMIAN: Can you describe the moment you found out that you landed the part and how did you celebrate? LEWIS: I was living in Devon still but was in London at the time. I had just finished a second recall for the current UK tour of War Horse. Emerging from The National Theatre’s toilets I saw I had a missed call from my agent. It was about a week after my third audition for Fancy. So I rang him back and he was like ‘Oh, you’ll need to come back to London on Monday’. I just thought this was maybe for another audition. 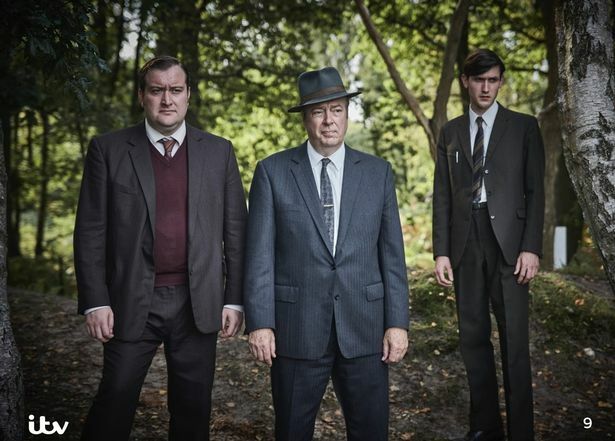 Then he said ‘Because you have the read through for Episode 1 of Endeavour‘. I couldn’t actually believe it and I think I asked him if he was joking about five times! I was ecstatic, and it’s always extra special when you land a role which you really wanted, and this was one of those cases. In terms of celebrating I didn’t do anything extravagant, just spent time with friends and family at home. DAMIAN: So, you find yourself in Beaconsfield standing in an old gymnasium where some of the sets have been built. Taking a short walk along the corridor and past the police noticeboard, you turn right through the door and you’re in CID with such a fine ensemble of actors ready to film a scene. What’s going on inside your head? LEWIS: I couldn’t even explain. A lot. Above all I was extremely nervous. I had joined a phenomenal cast, the majority of which had been working together on the show from the get go, which at the time would of been 4 years. But I had to trust and reassure myself I had been picked for the right reasons, and I was here to do my job. I was so welcomed though that I quickly found my feet in the cast and felt like an integral part of the team. DAMIAN: The writer, Russell Lewis, has always tried to explore Endeavour’s character and reveal fresh aspects of his development both as a detective and a human being. 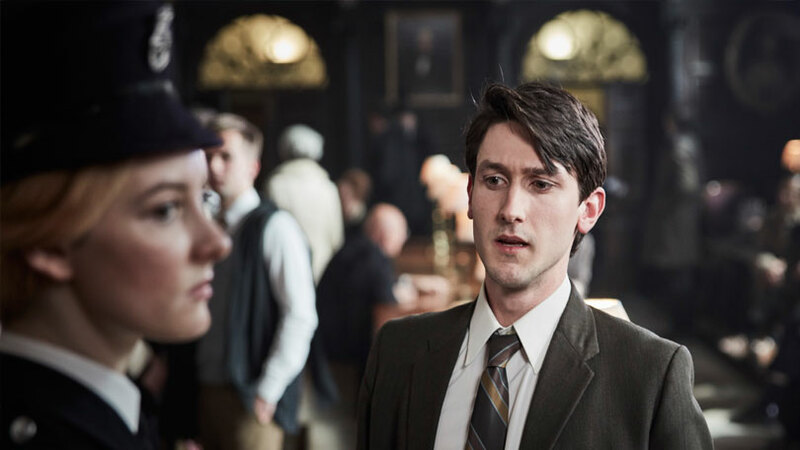 Finally, having been promoted to Sergeant at the end of the last series, and after been mentored by Thursday for so long, it is Endeavour’s turn to take on a young apprentice. 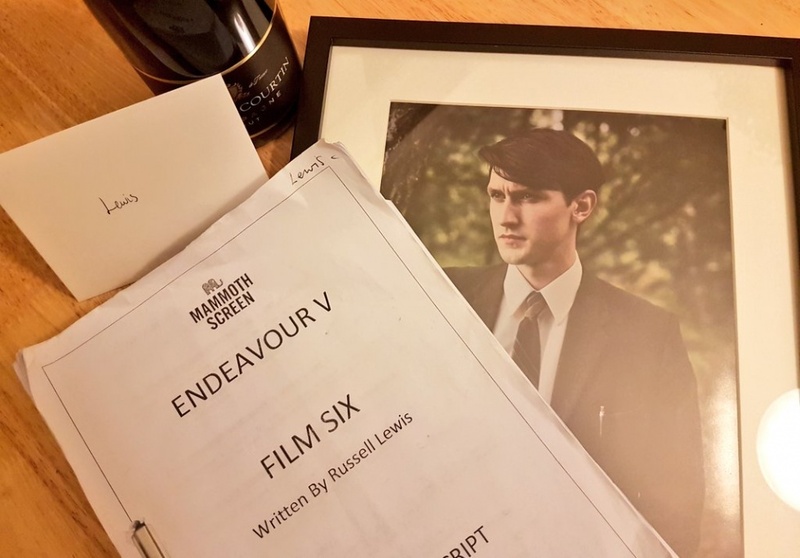 What does this reveal about Endeavour and how would you describe his relationship to Fancy? LEWIS: It reveals a whole lot about how Morse deals with responsibility. At first he is very reluctant to mentor his new apprentice and even says to Thursday ‘I’m used to working alone Sir, he’d learn more from you’. I won’t say too much on the subject as I want the audience to see how their relationship evolves, but it certainly puts Endeavour in a situation he is quite alien to. I feel that even though he doesn’t really want this occasional burden, he has to learn to accept his new responsibilities and do his job the best he can. 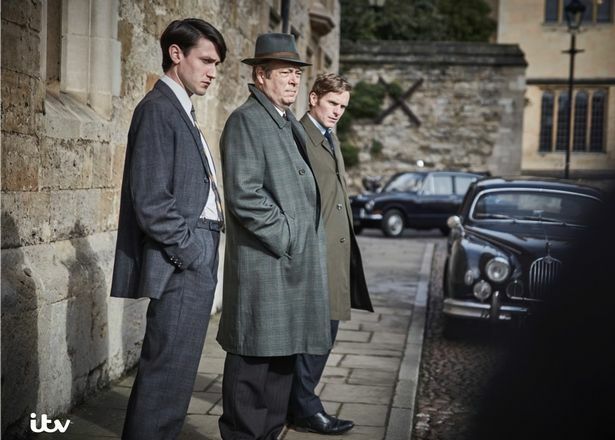 DAMIAN: I don’t know if you’ve ever watched the original series but to what extent do you think the relationship between Endeavour and Fancy foreshadows that of Inspector Morse and Sergeant Lewis? LEWIS: I would hate to make anyone feel old but, I wasn’t born when Inspector Morse was released and we unfortunately never crossed paths. 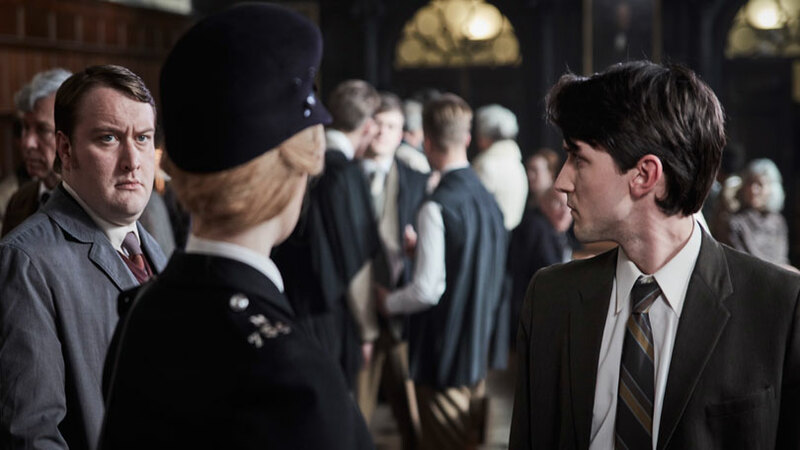 DAMIAN: What’s the character dynamic between Fancy, Thursday and Bright and what’s it like working with actors with such gravitas as Roger Allam and Anton Lesser? LEWIS: Their relationship is different of that with Fancy and Morse, which is probably a good thing. As you’ll see in the first episode Morse doesn’t quite take to his new colleague Fancy but does still have his back. Therefore a lot of Fancy’s early mishaps are left unseen by the two big dogs. But Thursday and Bright are totally pro Fancy throughout the series and give him a lot of credit, probably more than he deserves. They are masters of their fields, and as the highest ranks Fancy has tremendous respect for them. Working with any actor who has had a long and successful career is extremely humbling. I actually spent quite a bit of time watching and admiring their performances at any chance I could. I learnt from them and had some very valuable conversations with many of the principle cast. Anton in particular being the kind and gentle soul he is had many a wise word of wisdom about the ups and downs of being an actor. DAMIAN: And what about his relationship with the younger officers such as Strange and Trewlove? LEWIS: As the three youngest members of the force there was always going to be connection with Fancy and those two naturally. Fancy spends a lot of time with Strange, and even though Morse is labelled as Fancy’s mentor, he learns a lot from him. Straight off the bat Strange accommodates and makes Fancy feel welcomed, and Fancy clearly appreciates this. I would definitely say Strange always has Fancy’s back even when things are not looking up for him. Fancy and Trewlove’s relationship is one that I will let people see develop for themselves. DAMIAN: Tell me a bit about location filming in Oxford and how do you find the reaction from the fans? LEWIS: It’s the home of Morse, it’s where it belongs. 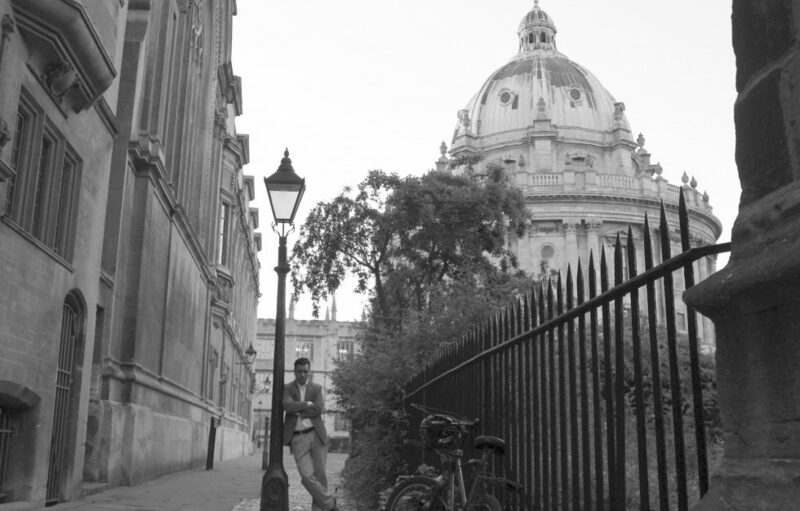 Anytime I got to film in Oxford itself was an absolute pleasure. You cannot beat filming in a real location and especially somewhere where the location itself really encapsulates the show and is so integral to the story. For me it makes my job so much easier. I do really feel like a detective in 1968 walking the streets of Oxford and prowling around the colleges. Seeing so many fans come out to watch drives home how special and well received the show really is. There seems to be a real excitement in the air when Endeavour comes to town. DAMIAN: One of the things I like most about Oxford is exploring the pubs, so many of which have obviously featured in Inspector Morse, Lewis and Endeavour over the years. Did you discover any personal favourites during your visits? LEWIS: I think I was lucky enough to film in two of the famous Morse pubs in Oxford. Walking into them and seeing the sets that I had only seen on the TV was very special. To top that off, to actually get to be a character in these iconic locations was wonderful. I wouldn’t say I had a favourite as I unfortunately never got to sit down as a punter and have a beer. DAMIAN: Your family must be so proud and over the moon for you, particularly as we get closer to transmission of the first episode. Will they be joined together round the TV to see the debut of DC George Fancy? LEWIS: Of course! 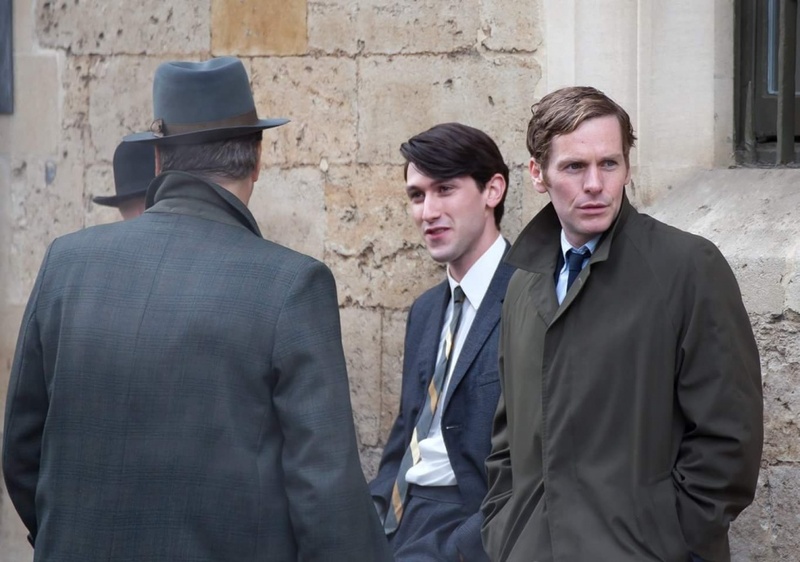 Luckily a lot of my family are big fans of Endeavour so they will be glued to the television. DAMIAN: Lewis, thank you very much indeed and before I go, can I get an espresso please? LEWIS: I’M TED CARKEEK FROM POLDARK! * Television and film productions have to clear any names of fictional characters so that they can’t be confused with people in real life and thus avoid any legal complications. This entry was posted in Endeavour and tagged Damian Barcroft, Damian M. Barcroft, Damian Michael Barcroft, Endeavour, Endeavour George Fancy, Endeavour Lewis Peek, Endeavour Series 5, Endeavour Series 5 interview, George Fancy, Lewis Peek, Lewis Peek interview on February 4, 2018 by Damian Michael Barcroft. An interesting and informative article, but … twice the article transcribed Lewis Peek’s use of the phrase “could have” as, erroneously, “could of.” Whether those usages were an editorial oversight or an attempt to reflect a less-than-careful pronunciation, I don’t know, but I’d suspect the former!